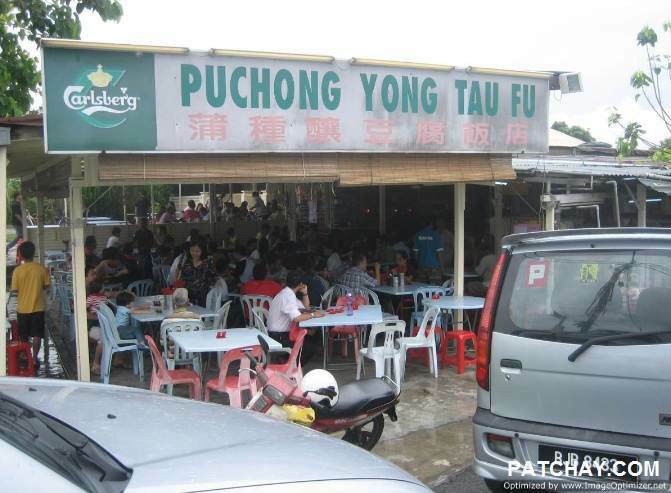 PUCHONG, what would be the first thing that comes to your mind? Sorry folks, I can only recall JAM, JAM, JAM and IOI Mall. Lately, PATCHAY.COM was on tour in Puchong as we were invited for a Facebook launch of a property agency in conjunction with the launch of a new property project. 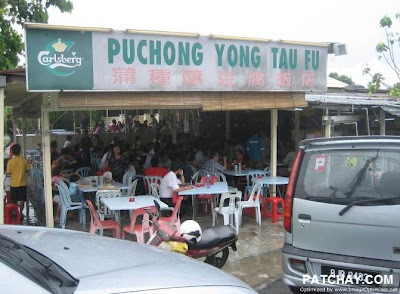 Along the way, we came to a rather large-sized hawker shack entitled "PUCHONG YONG TAU FU". 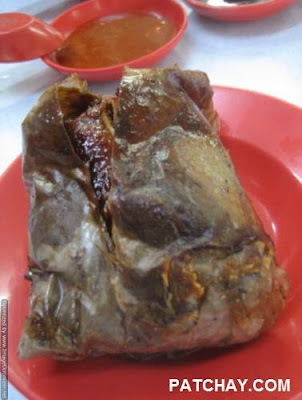 We've found the legendary "freshest" yong tau foo in town. And like all legends, the place was busy, noisy and packed with people. The Cantonese would say "WONG" (prosperous), and I immediately presumed this must be another good lunch for us. Then the rain came, and the place somewhat seemed abit chaotic like any other hawker centres. You can't start the yong tau foo stuffs until you have tried the Ji Pau Kai (Paper-Wrapped Chicken). It was salty enough but the sauce was abit too much to have caused the wrapper to stick with the meat. Overall, the chicken meat was tasty, but I would not rate it the best in Klang Valley. Next was the yong tau foo soup version. Interestingly, the soup was compulsorily served with leafy vegetables unlike other places. Our portion was pretty big as we have ordered almost the entire range. So be careful next time! Overall the yong tau foo was very fresh, well-stuffed and well cooked. 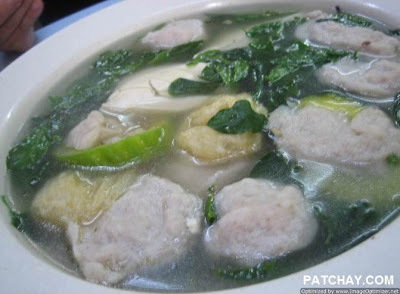 The reason being the yong tau foo were prepared as per your order, great! However, and as expected, the soup was bland. This was followed by yong tau foo deep fried version. 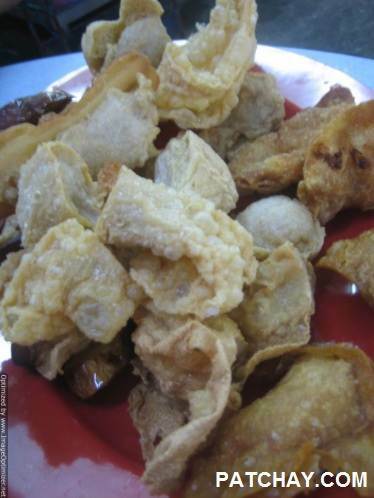 The crisp of the tau foo pok is probably the best part here. The usual black sauce and chilli sauce was provided generously, but somehow it tasted quite normal like other outlets. I think they could still improve on the sauce. The best thing about this place is that you are able to choose exactly what you want, unlike some other places. Thanks a lot for this post. It's great!